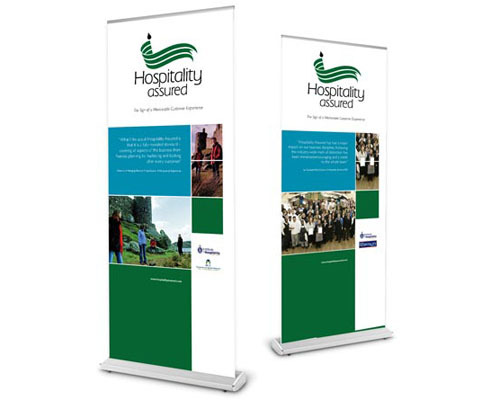 Featuring eye catching high quality print, they are ideal for press conferences, exhibition display stands, corporate meetings, trade shows, retail displays and shopping centres. The banner retracts into the aluminium base and fits into a convenient carry bag – making them quick and easy to transport. *Prices include basic artwork design and are priced per banner (each). GST is additional. Prices include artwork and all set up costs. GST is additional. Delivery if required, is extra and charged at cost. Larger quantities are available, please contact us for our best prices. Above prices assume artwork will be supplied in correct format.